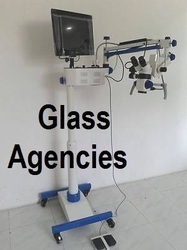 Glass Agencies EROSE are Manufacturer of Surgical Microscope Five step. Specification:Stable and Robust, assembled from Aluminum Diecast parts.. Stand : Stable & Robust, traditional Horse Shoe base. Fixed Square stage with coaxial X Y movements, Moveable Condenser 1.25 N.A. provided with iris diaphragm, triple revolving nose piece. Objectives : Achromatic 10x, 45x 100xoil (SL). Illumination: 6V/20W halogen with variable electronic intensity control. 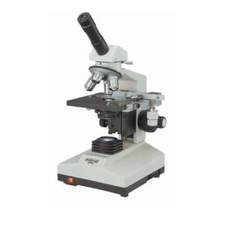 Dental Operating Microscope with 6 Step magnification with Apochromatic optics, .3X, .5X, .8X, 1.2X, 2.0X, & 3.0X, Vario distance lens 190-300mm, Rotation Ring for pendulum motion, Balanced Arm, Ultra stable flower star base with lockable castors, Binocular Extender Beam Splitter, C Mount & full HD Camera for still image and video recording on SD card. Leveraging on our vast knowledge of this realm, we are betrothed in presenting an optimal quality series of Eye Operating Microscope.